With a stay at Hotel Hacienda de Vallarta Centro, you'll be centrally located in Puerto Vallarta, within a 10-minute walk of Playa de los Muertos and Los Muertos Pier. This hotel is 0.4 mi (0.7 km) from La Iglesia de Nuestra Senora de Guadalupe and 0.9 mi (1.4 km) from Malecon. 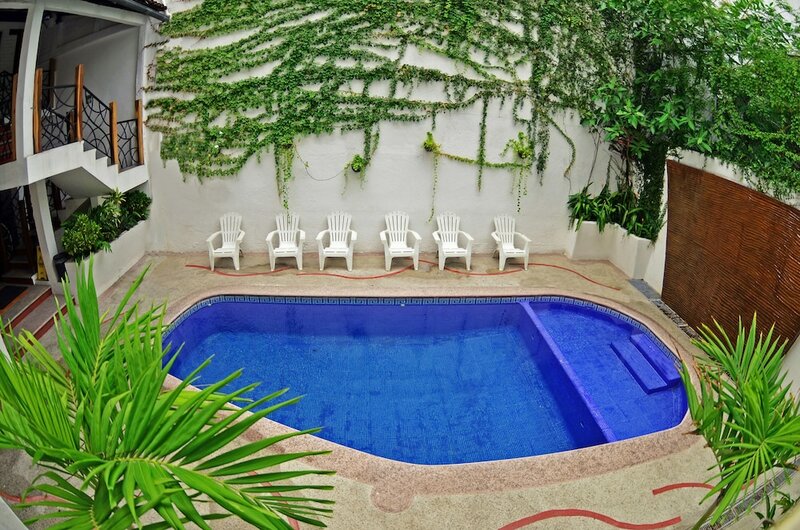 Hotel Hacienda de Vallarta Centro features an outdoor pool and a children's pool. A computer station is located on site and wireless Internet access is complimentary. This Puerto Vallarta hotel also offers a rooftop terrace, tour/ticket assistance, and multilingual staff. Hotel Hacienda de Vallarta Centro has designated areas for smoking.